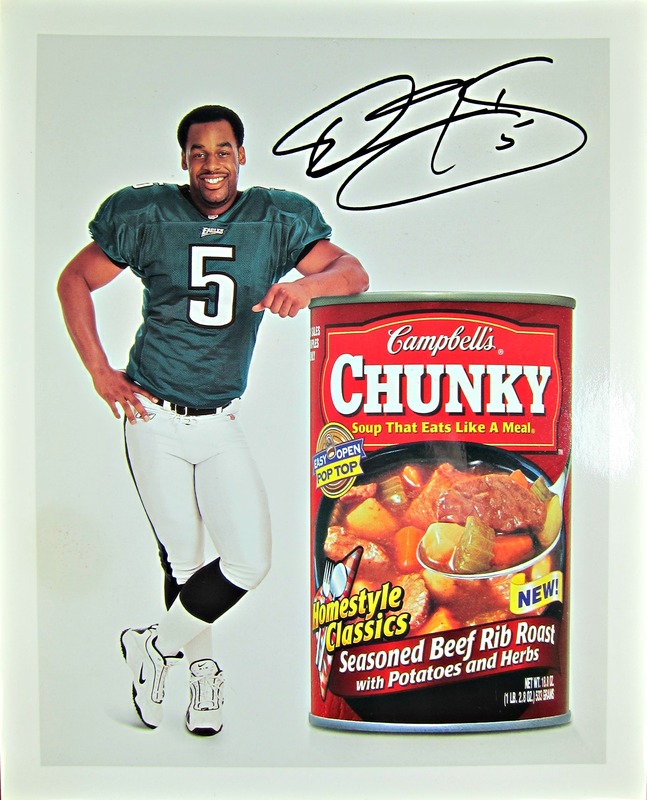 This Campbell’s Chunky add is 8″x 10″ in size and comes signed by the Philadelphia Hall of Fame member, Donovan McNabb. 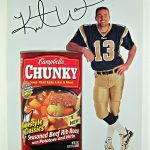 Very hard to find autographed item. The ad includes letter of authenticity from Memorabilia Center.